From the first few moments of Life, there’s absolutely no indication where the story is about to go. We see a dark and emotionless Robert Pattinson in a darkroom before we are thrust into old Hollywood: an evolutionary time in America where art, culture and celebrity were developing post WWII, particularly in Hollywood. 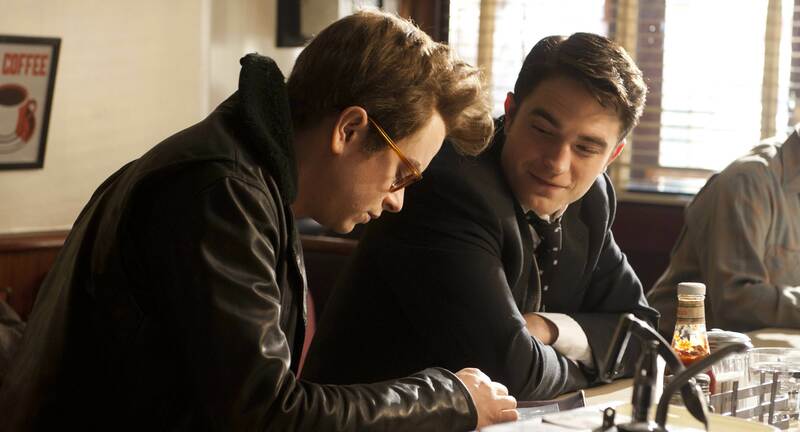 Chronicling the back-story behind the 1955 photo essay of James Dean (Dane DeHaan) in Life Magazine by freelance photographer Dennis Stock (Pattinson), Life primarily looks at Dean’s emergence from the constraints of Hollywood expectation and Stock’s challenge at encompassing a burgeoning film star whose attitude and outlook is almost impossible to capture. But, as foreseeable as can be, both characters struggle with their own demons and make long-winded elusive comments to represent how they really feel. Whether this is the fault of the director or screenwriter is unclear, but ultimately this intimate friendship that preceded Dean’s death shortly after feels empty and underdeveloped. Here director Anton Corbijn, a former photographer himself, clearly feels a deep of affinity with Stock but fails to translate the so-called love of photography and relationship one has with a subject into a gripping or remotely interesting story. And whilst Charlotte Bruus-Christensen’s cinematography, the production design and costume are first-rate, they simply enliven a timid film. Much of the bore comes from the film’s want to excite us with “cameos” and surprise portrayals. Natalie Wood is here! And Judy Garland! Marilyn! It’s reminiscent of Woody Allen’s Midnight In Paris, but each surprise performance feels as hollow as the last. This is echoed in DeHaan’s portrayal of Dean, which seems more mimicking than embodying the essence of who the old Hollywood star was. Thankfully Ben Kingsley brings some legitimate pizzazz to his playing of Jack Warner. Pattison’s performance is much better than his famed Twilight acting and actually carries much of the film. But even he falls into the potholes of the film’s script and appeals too much to the audience’s emotions than leading the way of how we should feel. Even the release of the photos, which is undoubtedly meant to be the most exciting part of this journey, is boring, albeit the moment we are privy to the recreation of Dean’s famous Times Square shot. Life is an interesting film for those who want to learn about Dean, but it’s intrigue ends there. My Week With Marilyn does the “experience the person behind the celebrity” much better and give Rebel Without A Cause a watch if you want to experience realistic, unadulterated angst Dean was famous for. Ultimately Life doesn’t get to the bottom of Dean’s problems or explains his emotions, which without this insight for a personality exploration, simply makes for a frustrating cinematic experience. Originally published on OuttaGum, 11 September, 2015.